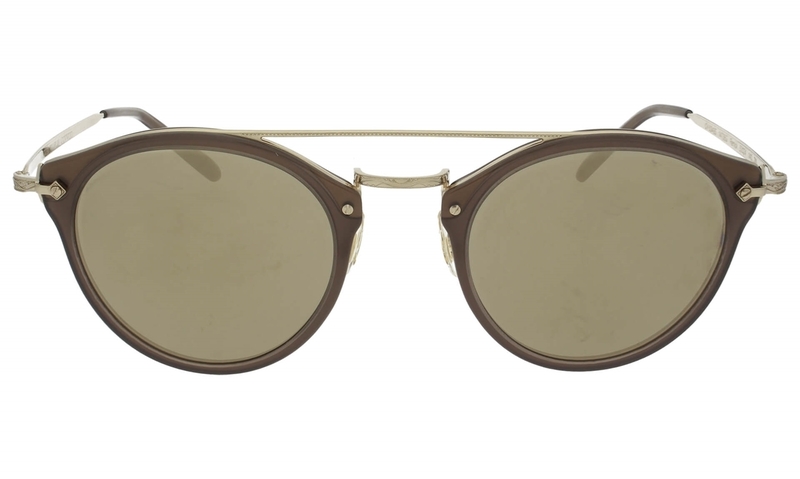 The Oliver Peoples REMICK OV5349S is a subtle rounded aviator unisex acetate sunglass that features a keyhole bride with nose pads for extra comfort. A mix of gold acetate and engraved metal work on the arms,temples and bridge. 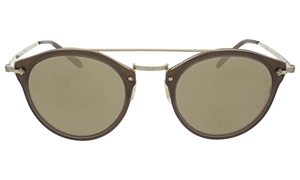 Featuring taupe flash mirror lenses. A double brow creates impact.